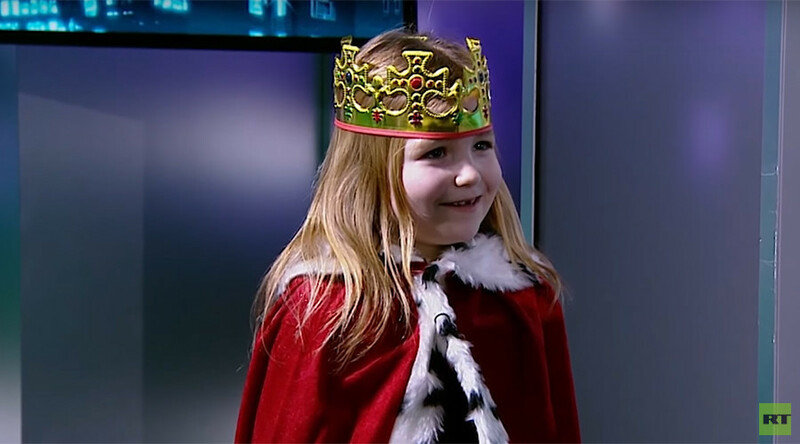 Former UKIP boss Nigel Farage was ‘knighted’ at RT in a mock ceremony by a five-year-old girl, who then blindsided the politician by saying: “My mommy says you hate foreigners.” The online tribe was amused. The stunt referred to Farage’s quarrel with Douglas Carswell, the party’s only MP, who allegedly tried to block Farage from getting the real deal from the Queen. RT’s News Thing program host Sam Delaney threw in an “appointment” as British ambassador to the US and an “MP seat” for South Thanet – which had eluded Farage, too. Social media was quick to react. A little girl busts the aura of this odious prick. Twitter had a lot of love for the “mini-majesty” and how she “schooled” Farage with her comment. Some, however, doubted the girl’s sincerity. It's almost like the little girl in the Farage video is repeating a line she's been given. “Although RT has been repeatedly accused of being a propaganda front for the Kremlin’s interests in the West, it is unclear how this show fits into that pattern,” the news website wrote.